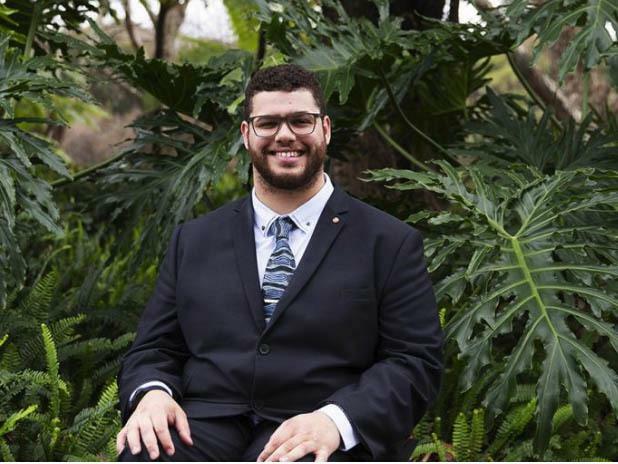 Australian Greens Senator Jordon Steele-John has been recognised for his outstanding disability advocacy in the 2018 McKinnon Prize for Political Leadership, announced today. Leading the motion for a Royal Commission into the violence, abuse, neglect and exploitation of people with disability, Senator Steele-John was named the 2018 McKinnon Emerging Political Leader of the Year with only one year in office under his belt. In coming months, Senator Steele-John will continue his work in disability advocacy towards reducing discrimination, barriers and ableism faced by Australians with disability. He says we fundamentally need to change how disability is viewed in Australia, recognising it as a social not medical phenomena. One of his key focuses will be the Royal Commission, highlighting the inquiry must accessible, broad in nature, investigate violence, abuse and neglect in all settings and provide justice for those who have been criminally wronged. “It’s not only to create a pathway forward, but to also look into historical cases of abuse,” he says. Former Prime Minister Julia Gillard describes Senator Jordon Steele-John’s political campaigning for an inquiry into disability as “very impressive”. Senator Penny Wong was also recognised alongside Senator Steele-John, being awarded the 2018 McKinnon Political Leader of the Year. Supporters took to social media to pass on their congratulations. “@Jordonsteele presence in the senate has demonstrated the value of having diversity in our representatives. He has achieved so much for people with disability in his short time in parliament. Well Done and lets elect more with Jordan’s empathy and tenacity in the next election,” @Embem17 says. “Huge congrats Jordon for being recognised for giving a voice to those rarely heard,” @Ronki says. “Congratulations to both - but I think that, as a first time Senator, Jordon Steele-John has made a real impact in both achieving outcomes like the RC for Disability sector and being a great role model for others with disabilities,” @MarianSmedley says. “Thank you for being a loud & passionate voice in the Senate for the many people who haven't had one for a long time, and for your ongoing support for many of our campaigns,”@amnestyOz says. “Congratulation[s] Jordon, your relentless efforts in achieving a Royal Commission into Violence, Abuse & Neglect of People with Disabilities in Institutional & Residential Settings, makes you a HERO & we all need Hero's to protect us from #Abuse,” @DixDotty says. Senator Steele-John will receive a $20,000 financial prize for professional development. Both Senators will be presented with their awards at the McKinnon Prize and Award Ceremony held in Melbourne on 29 March.